Holy deliciousness!!! Where have all the appetites gone? Don’t you just love pot luck Thursdays? 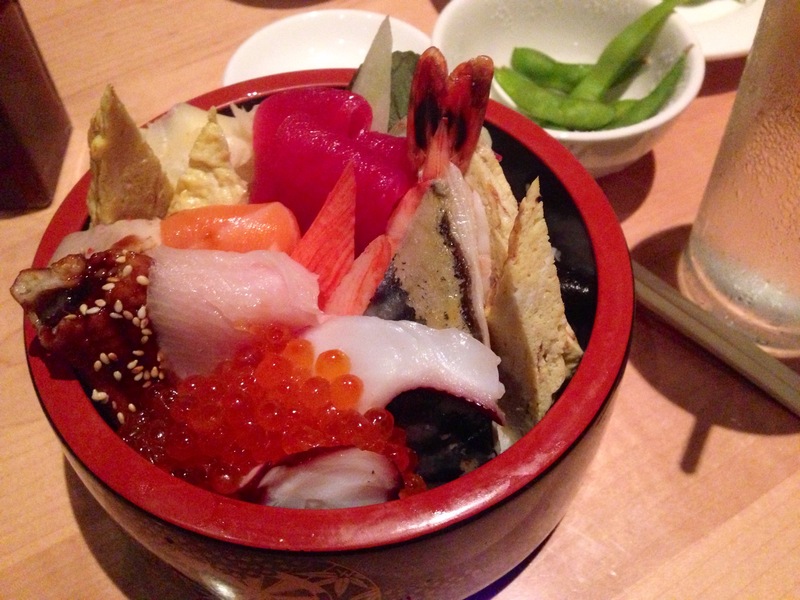 I’ve never met this….what is chirashi? Anyway,sounds interesting! my best ever japanese serving at the restaurant…love it, simple, tasty, yummy! Awesome. Nice color. I wish to go to Sushi bar again. i haven’t taste it yet but it look delicious and i wanna try some. Reblogged this on samade327's Blog. can u teach me more abou bkogging? Fabulous food. Fabulous photograph. V.
Good heavens! What is in this this?! Is that @karaswisher the tech-arts writer I knew @ StyleWP back in the day…. Now that’s an alien landscape, I’d like to take a bite of! That looks absolutely yummy! 🙂 Oishii da yo! awesome picture. make me want to eat it. While this dish looks DEE-LISH, the colors are amazing, exactly what food does this dish contain? I think I see some caviar, some sort of sesame sauce, maybe radishes, a carrot ? Besides the beautiful coloring, I love the placement of the food in the dish. It’s not just food, it’s art! Reblogged this on liznat4life's Blog. so how did the Chirashi Bowl taste ‘ol @karaswisher? Oh my god, that looks incredible. Luv’n all these seafood dishes!